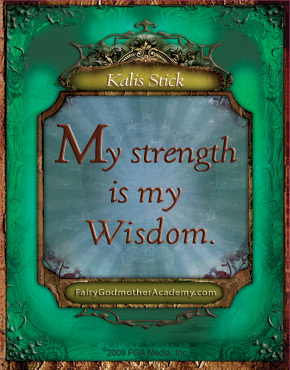 Kalis StickI am a magical warrior—my strength is my wisdom. In Kerka’s story, the Kalis stick is a symbol of strength and hope—a gift passed down from mother to daughter. Kerka is full of energy and courage, bravely jumping in to help the ones she loves. The Kalis stick is an essential and expressive part of her Kalis dance, transforming her from girl to magical warrior. Each Kalis stick is unique and powerful, like the girl it belongs to. And each of us has a magical warrior inside—the part of us that is strong and brave when we need to be. How about making your own Kalis stick? What would it look like? What colors would it be? Think about how your Kalis stick can express your inner magical warrior! The Stick: Select a long stick, tube or pipe. You want it strong enough to dance with, but lightweight enough to carry. Use a branch, bamboo stalk, plastic tube or pipe, or heavy-duty cardboard tubes from wrapping paper, etc. The Endcaps: Pick something that reflects your personality. These could be pine cones, plastic Christmas ornaments, wooden craft pieces (knobs), painted ping pong balls, fancy ponytail holders, anything you can think of! Scissors for cutting and something strong to stick it all together with: glue, colored duct tape or hot glue gun and glue sticks work really well. Select your stick and practice dancing with it. The length and weight should be comfortable for you to twirl around and move. Greengirl started with a beautiful green stalk of bamboo from her yard. She cut off all the smaller branches and leaves, then wrapped it with gold cord, ivy and silky ribbon. Tie the ends into a strong knot and glue them down. Remember, this stick is going to be moving around a lot! Using hot glue gun, slowly and carefully attach the endcaps to the stick. Greengirl chose pine cones and created beautiful ribbon “cuffs” around each to help secure them to the stick. She topped it off with more hot glue to make sure they stay on. She also tucked the ends of the ivy into the ribbon to help secure it to the Kalis. Step 4: Decorate some more! For a final touch, Greengirl tied long lengths of shiny ribbon to each end that will move and sparkle as she dances. Her beautiful Kalis stick looks like it was made by fairies! Now she’s ready to create her dance! She spray-painted a cardboard tube bright red and wrapped it with some fancy paper, colorful ribbon and mardi gras beads. Then she spray-painted the wooden endcaps gold and hot glue gunned them to ends. Finally, she drew designs along the stick with a silver paint pen and added aqua ribbons on each end for drama and movement. Viola! Here’s her Kalis stick (on bottom) and Kerka’s—total MAGIC!!! cool project. I made one. they are fun to make. mines a cute light green with purple and light blue sparkly tape it also has owls. its fun to be so creative!!!! 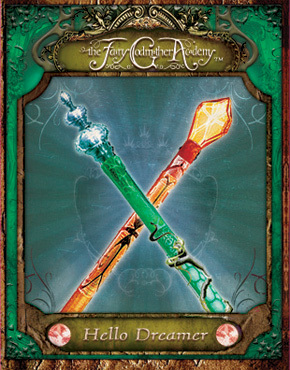 fairy god mother academy inspires me. Cute craft. I made one, mine is a cute brown one with purple and green and white feathers attached with silver tape on each end. My brother broke my kalis stick in half so I made a new one. It was so fun to paint and make my kalis stick! That is so cool! I wish I had one, but I probably won’t be able to make one anytime soon! I was thinking about trying to make one. Is it difficult?